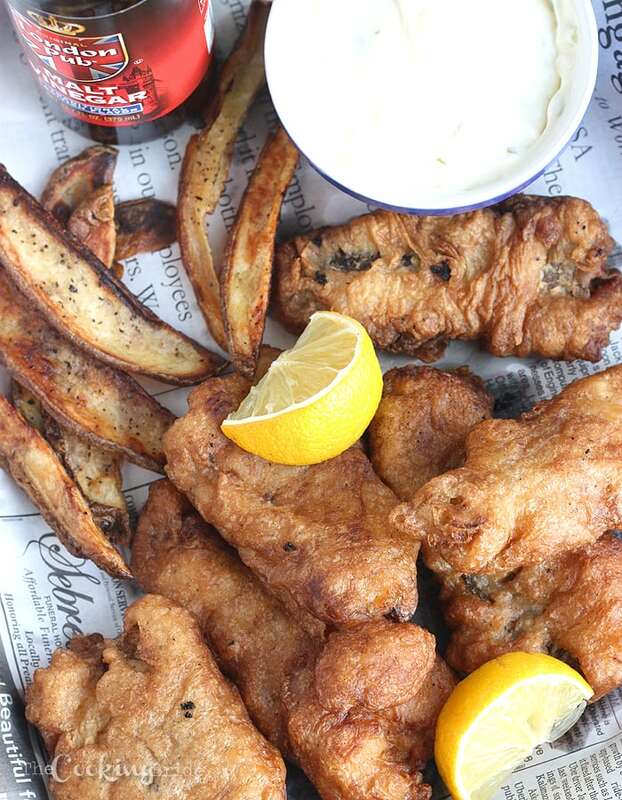 You are sure to love this beer battered fish and chips recipe. The crust is flaky every time. Serve with oven baked French fries. The summer between my freshman and sophomore year of high school, my parents and I spent two weeks in London. At the time, I going through that phase where I thought my parents were quite possibly two of THE MOST uncool people on the planet. Two weeks in another country seemed like an eternity in teenage years. I just knew my friends were back home having the time of their lives without me in our quiet little hometown (they weren’t) and my boyfriend was going to forget all about me and find a new girlfriend by the time I got back (he didn’t). I celebrated my fifteenth birthday with front row seats to Phantom of the Opera at Her Majesty’s Theatre. What a rotten way to spend a birthday, right? I wish I could travel back 15 years and violently shake my silly teenage self. I was introduced to fish and chips on that trip. I remember expecting something like a Filet O’ Fish and Lays potato chips and was surprised when I got fries. I honestly don’t remember if I liked it or not. 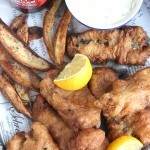 But a few years ago I ran across a recipe for homemade fish and chips, decided to give it a try, and got delicious results. My dad recently sent my husband and me some halibut filets. 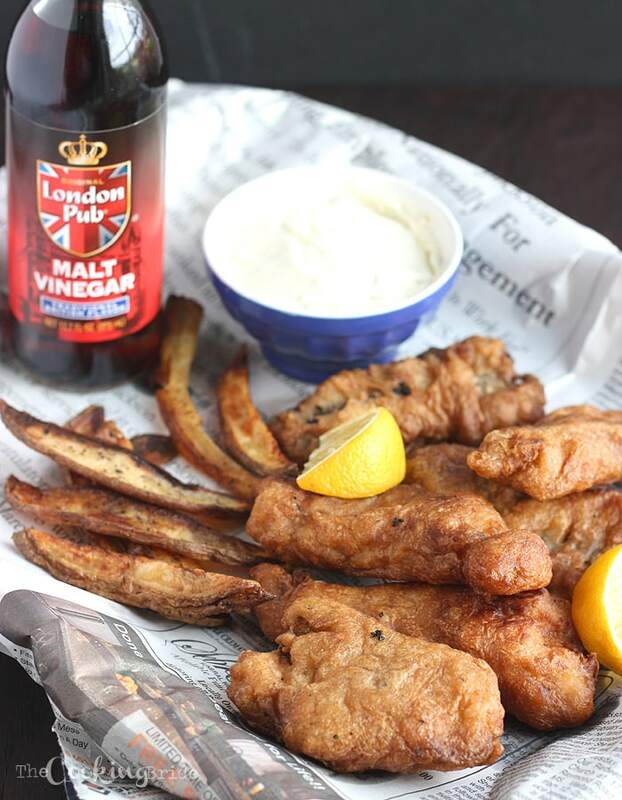 For several weeks I pondered over what I should do with them when I remember that fish and chips recipe. 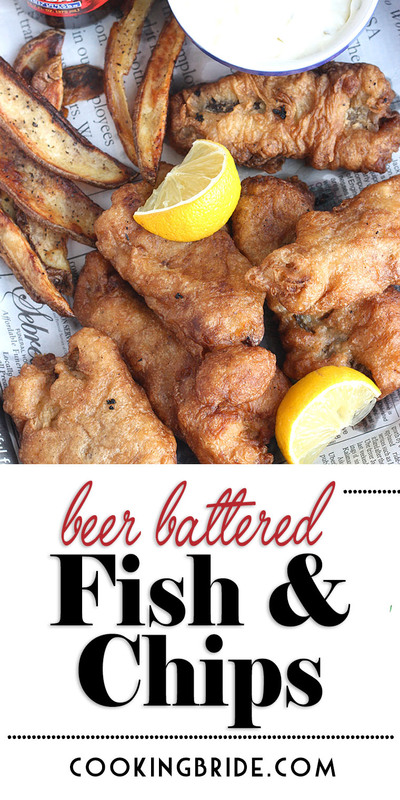 The beer batter produces a delicious crisp, golden crust every time. I like to serve these alongside my favorite Crispy Oven Baked French Fries. Heat oil in a large deep skillet to 375 degrees (I like to use an electric skillet). In a large bowl, combine 2 cups of flour, baking powder, salt and pepper. Combine the beer and egg and pour into the flour mixture. Whisk to a smooth batter. Batter should be the consistency of pancake batter - if too thick, feel free to add a little more beer until you reach the desired consistency. Spread the remaining ½ cup of flour on a plate. Dredge the fish pieces in the flour and then dip them into the batter, letting the excess drip off. Add the fillets to frying pan and cook until coating turns brown and crispy and fillet is cooked through – about 4-5 minutes per side. Remove from pan and drain on paper towels. Sprinkle with salt if desired.